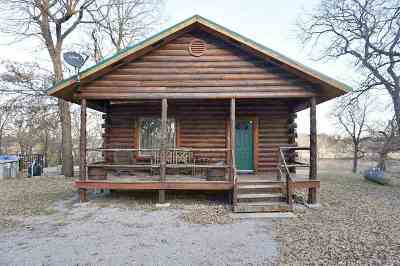 Come check out this lovely small log cabin sitting on a scenic hilltop on the House Creek Ranch. 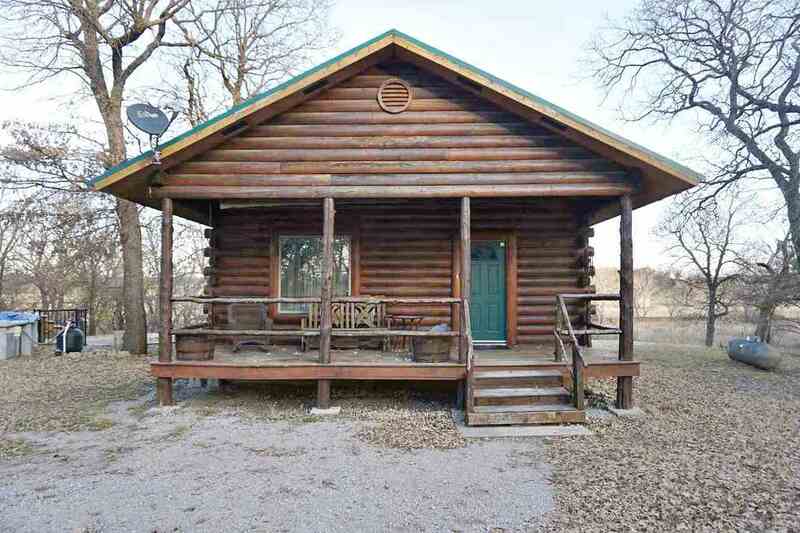 You will feel cozy and right at home in this well-done get-a-away cabin with its open concept living room and kitchen, two bedrooms (each with its own vanity and sink) and 1 full bath. It has both a front porch and a back porch for relaxing and a two-stall carport with a storage area to cover your vehicles or equipment. Use it for you and your family and/or make some extra income by renting it out on VRBO like the current owners are doing. It grossed over $20K last year alone! The owners are selling it fully furnished and the above-ground pool, hot tub and satellite equipment all stay. With a total of 6.42 acres, there is even more you could still do with this property!